The Deseret News, a Salt Lake City based newspaper, recently featured an article about cooking software. And guess who’s goofy picture is right in the middle of the article… none other than our Dan Oaks. 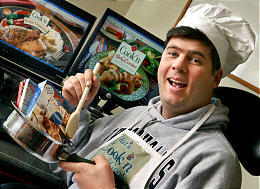 Follow the link to find out what others have to say about Cook’n.